Amazon is hosting an Apple Fest on its platform, which kicked off on December 8 and will last till December 14. 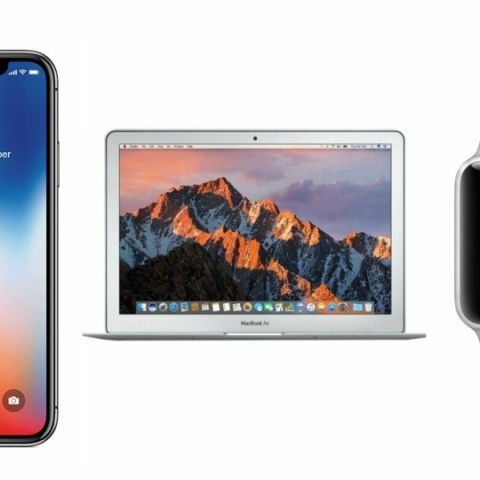 Amazon is offering up to Rs 15,000 off on MacBooks and up to Rs 16,000 off on iPhones. The e-commerce giant has also collaborated with ICICI bank and giving up to 5% discount to buyers on making payment through ICICI bank debit and credit card. So, let’s take a look at some of the best deals that we have found on the platform today. The Apple iPhone X was launched in India last year at a price of Rs 91,900. The smartphone is now available on Amazon during the offer period for Rs 74,999. The device is backed by the Apple A11 Bionic chipset and features a dual 12MP rear camera. Check out the deal here. The Apple MacBook Air is powered by an Intel Core i5 processor, which is paired with 8GB and 128GB hard disk. The MacBook is available on the sale for Rs 62,900 down from its MRP of Rs 72,200. Check out the deal here. The Apple iPhone 6S is in the market for quite a long period of time and yet it is available for sale. So, if you’re an Apple fan and looking for something under a limited budget then this device might fit the bill. It comes with a 12MP rear camera and is powered by the Apple A9 fusion chipset. During Amazon Apple Fest, it is available for Rs 24,999. Check out the deal here. The Apple Watch Series 3 is a previous gen smartwatch by Apple, which comes with a 2X brighter OLED display. The watch has a heart rate sensor, accelerometer, and gyroscope as well. During the offer period, it is available for Rs 25,900 down from its MRP of Rs 28,900. Check out the deal here. The Apple iPad 6th Gen sports a 9.7-inch display that offers a resolution of 2048 x 1536 pixels. The smartphone is powered by the Apple A10 fusion chipset. The device packs 2GB RAM and 32GB internal memory. Check out the deal here.